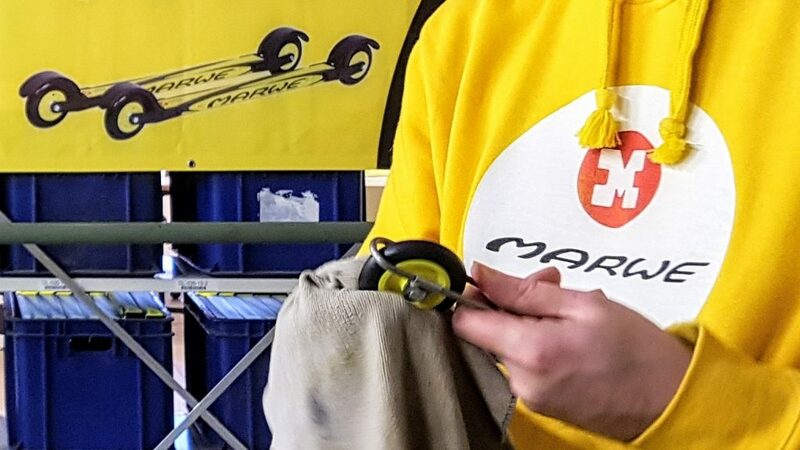 Can I get new wheels for my old Marwe´s? Yes. All of our roller ski are downward-compatible. This means in our case that you can use our current roller ski wheel range, but you might have to you use spacers or other adaptors to get them to fit. Click here to access our adaptation chart. One of my XC roller ski frames broke. Can I get replacement frame for it? The short answer is yes. At Marwe we emphasise our athletes to be environmentally aware. However in the case of the composite XC ski range, we strongly recommend changing both ski frames in case of one of the frames breaking down. The reason for this is that the XC ski range ski frames are tested for their flexibility at our factory, and paired together so that both skis have similar vibration damping and flexibility characteristics. What is the difference between the STANDARD and STIFF XC ski model frames? The stiff frame is designed for skiers who weigh over 80 kg, or whose skiing technique is of an more powerful kind. This frame option has been made to be an option based on feedback that the regular long XC-frame is too flexible for some bigger athletes. For example the Marwe CLASSIC 700 XC roller ski frame. Also, we have discovered that for example our own Finnish national team skiers prefer to use the stiffer frame even if they are not this heavy, as they put a much bigger stress on the skis than normal weekend skiers. How do I attach or detach the support struts on my 800XC roller skis ? Is it normal that the front ratchet wheel on Marwe Classic roller skis spins slower than the rear wheel when you spin them with your hand? It is normal that the ratchet front wheels might have a bit more friction than the rear wheel but when you ski with the rollerskis this should have no effect on the speed of the skis. Speed of the wheels depends mostly on the elasticity of the wheel material, and the bearings don´t have much effect in this. How do Marwes roller ski wheel speeds correspond to Swenors designation on rollerski wheel speed? How can I ensure that the my wheels wear evenly and get the most out of them ? During your roller skiing exercise we strongly advise to swap your skis at your exercise at the mdway point. Doing so you will ensure even wear of the wheels and they will last longer. This will prevent the excessive one-sided wear of the wheels, and avoid the ski tracking to one side. 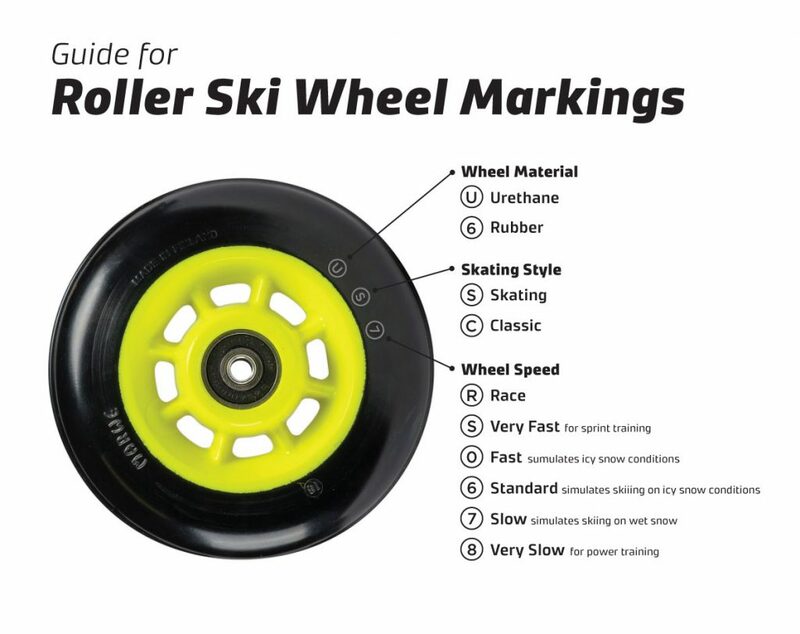 How do classical and skating style roller ski wheels differ? Roller ski wheels differ quite a bit depending on the chosen skiing style. The first thing to consider when buying wheels for roller ski are the style. For roller skis, there are two styles. Classic style roller ski wheels are wide and made for rolling in the middle of the wheel. Skate wheels are narrower and made in a way, where there is a smoother transition from side edge to side edge. What are the markings on my roller ski wheels ?